We had a feeling that chromium would pop back up in the news again… and this time residents in the Chicago area had the (dis)pleasure of finding out that recent test result showed the presence of an unhealthy level of a heavy metal (chromium) in their water supply. Chicago’s first round of testing for a toxic metal called hexavalent chromium found that levels in local drinking water are more than 11 times higher than a health standard California adopted last month. As some of you may recall, we wrote about chromium showing up in drinking water in the past and from the sounds of things we will very likely find ourselves writing about it many more times. The discovery of hexavalent chromium in drinking water is renewing a debate about dozens of unregulated substances that are showing up in water supplies nationwide. Potential health threats from many of the industrial chemicals, pharmaceutical drugs and herbicides still are being studied, but researchers say there is strong evidence that years of exposure to chromium-contaminated water can cause stomach cancer. We have written more, but the ones above ought to give you a pretty good understanding of the chromium in drinking water situation facing many areas of the United States. Water supplies previously deemed ‘safe’, and we include both municipal and private water supplies in this statement, have come under new scrutiny and many do not measure up to the current quality standards. 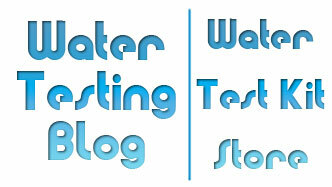 Speaking of tests, can the average person test for chromium in drinking water? Of course they can — but as always the best testing solution comes in the form of analysis by a certified water testing laboratory. If, however, you would like a fast and easy method to test for the presence of chromium in water, you will definitely want to take a look at the chromium test strips produced by SenSafe. They make field testing for hexavalent chromium in water a simple and inexpensive process. 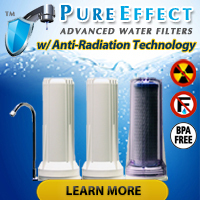 « Is Demineralized Water Bad for Me?